Lackenhäuser luxury camping site is in the Bavarian Forest and sits at an altitude of 850 m on the sunny southern slope of Dreisessel mountain. Apart from the awe-inspiring mountain vistas, luxury camping at Lackenhäuser hosts a large array of sports facilities and entertainment for all age groups. Children will love the wide open spaces and playgrounds. 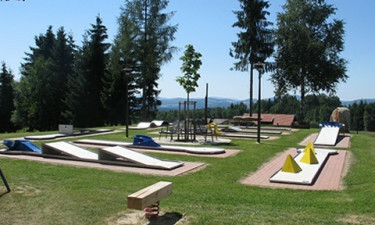 Lackenhäuser is an excellent destination for your upcoming camping holiday. 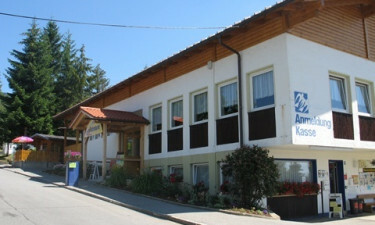 Your well-appointed mobile home is nestled in a peaceful park setting surrounded by tall trees and a view of the Bavarian Forest and mountains. Daytime children’s programs, swimming pools, and two equipped playgrounds will keep the kids’ holiday spirit high while you visit the spa area for a relaxing sauna. Book your stay here with LuxCamp. The immaculate indoor pool is a generous 7.5 m x 15.5 m and hosts aqua gym classes to get the adrenalin going. If relaxation is your goal, the sauna and tepidarium are part of the indoor pool complex. 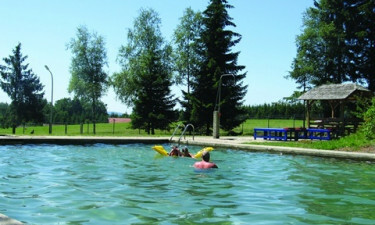 Camping Lackenhäuser has a large swimming pool set on a spacious green lawn and surrounded by tall trees. A separate paddling pool for children is a few steps away.